We at "Stop Hayovel" have several disagreements with many of the participants of "The Judean Roundtable". But neither I nor my colleague Moshe Schwartz have ever called them missionaries or accused them of engaging in missionary behavior. G-d forbid! Those who wish to understand the nature of our concerns should address them with us, provided they have the facts and not the false tales of those who would rather malign than debate the issues. Those who associate and partner with the likes of Tommy Waller of Hayovel Ministry, Hananya Naftali, Jim Garlow/Rosemary Schindler of Skyline Church, and Mike Huckabee (among other people) should rightfully be called out. After all, this is forbidden territory for Torah minded Jews. Once upon a time this was common sense. 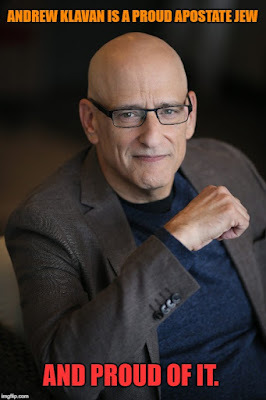 Andrew Klavan is an apostate Jew who abandoned his faith years ago to convert to Christianity. Those Jews who celebrate him and share his material online, speak volumes about themselves. From a Torah perspective, such a person is deemed a "meshumad", and we consider such a person an enemy of the Jewish people. Klavan's affability or talent should have no bearing on how dignified, self-respecting Jews view him. After all, this is a man who once did an interview with "Jews For Jesus" (may their names and memories be erased). The fact that he often makes good points exposing the godless left in America, or that the kipah-wearing Ben Shapiro frequently shares his material is irrelevant. Klavan is a dangerous person. And because of his likable nature and articulate delivery, he represents a dangerous threat when religious Jews give him a pass on his apostasy. Sanitize such a man, and one of the most important barriers against assimilation will have been trampled. 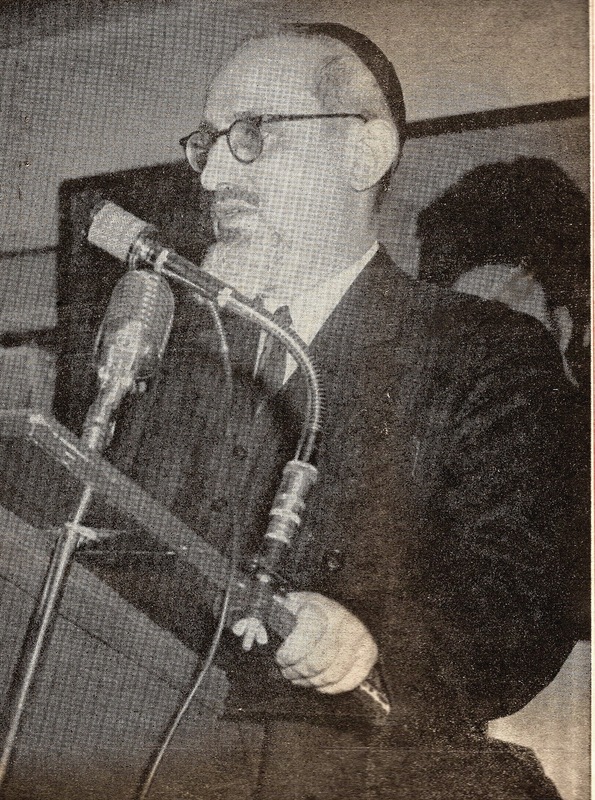 As anyone who reads this blog will attest, my personal position lies entirely according to the rulings of Rabbi Joseph Soloveitchik regarding interfaith dialogue with other faiths. The "Rav" as is well known, prohibited such activity and his thought can be best expressed with his classic essay "Confrontation" and a subsequent addendum. In our own times in Israel and in the diaspora, we have seen all too well, the pitfalls involved when Jews with kipot abrogate this most sensible ruling and go off to meet and greet and break bread with Esau. While many Jews involved are self-serving ignoramuses, there are some prominent Halachic thinkers who astound us with their revolutionary betrayal of key Jewish principles. 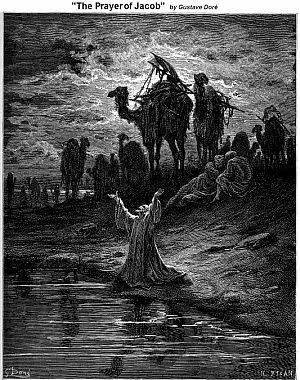 As shocking as it is, the figure of the historical Acher come to mind, which reminds us that even great Jews can choose the wrong side of the road and step into the abyss. Yet upon doing so, they become different people. 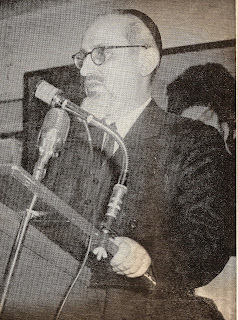 The following article is a flawed but interesting glimpse into two prominent Rabbinic personalities who studied under the Rav. One adheres to the Rav's ruling, the other departed years ago in a most radical fashion. Here is Rabbi Gil Student's Interfaith Dialogue Under Fire. Now and again, it becomes necessary to clarify some critical facts about "hasbara activist" Kay Wilson's unsettling past. For anyone with brains and integrity, an honest analysis of the facts reveals some very disturbing things, which too many Jews would like to remain buried. At the end of the day, the question is simple. If one is dishonest about one's past, how can we trust what they say in the present? Let me be clear. Haaretz is a vile left-wing rag fit to use as kittie litter. Yet like many writers and researchers, I frequently scour the sewer of the web to see what’s out there, and to stay abreast of issues from different perspectives, including the worst expressions of self-hating Jews. In a similar vein, back in the day, I would occasionally pick up a copy of the virulently anti-Semitic NY newspaper, “The Amsterdam News” to stay abreast of what black supremacists of urban America/New York had to say about Jews. It was a mouthpiece for the Khalid Muhammads, the Louis Farrakhan’s, the Al Sharptons, and the Jesse Jacksons of the world. After scouring the paper and clipping out any pertinent data, the paper itself was good for lining a gerbil cage or creating a Millwall brick. And so it is with Haaretz. Fortunately, we can read many of these rags online today which saves us from having to purchase such filth. Haaretz offers a window into the twisted brain of extremist left-wing Jews. I forced myself to read a curious article in Haaretz about the notorious “Hayovel Ministry” and other evangelical missionary groups who contribute so much money and voluntarism in Judea and Samaria. The import of the Haaretz investigative article, Inside the Evangelical Money Flowing into the West Bank by Judy Maltz, is NOT the author’s leftist biased positions. The bias is nakedly apparent. More interesting were the statements and perspectives of several of the key Jews and gentiles involved in this madness. In large measure, the article confirmed many of the troubling things we have been saying for years, both in the candor of responses as well as the lies, distortions, and gross generalizations. Ten Things We Learned from The Recent Haaretz Article on “Hayovel Ministry” and other evangelical organizations. 1. Perverted Priority: The article illustrates that Haaretz doesn’t give a damn about Jewish souls or the spiritual dangers of evangelism. They are bothered that so much money is going to communities they deem outside of Israel, in what they disgracefully believe to be “occupied territory”. This is nothing new. Haaretz is the voice of Jewish secular Hellenism. Yet as the cliché goes, a stopped clock inadvertently records a truth twice a day. The writers of Haaretz hate Jews who live in the liberated areas. They care what the Jew-hating world thinks of us. They care as much as the Torah account of events or our claim to the land, as I care about whatever upcoming transgender festival may be coming to Tel Aviv in the spring. And they hate Torah values which oppose the morality of the swine. The real tragedy is that a dozen religious newspapers should be regularly investigating and writing about these issues from a proper Torah perspective. 2. Normalization: Jews and Christians admit that their efforts to normalize have removed much of the past public opposition. Yet their assurances that MOST rabbis in Israel support such interfaith relationships and activities are inaccurate. Let’s be honest for a moment. Most Jews (including Rabbis) in Israel don’t even know about these issues. Those that have a vague sense cannot comprehend the full extent of the problem, certainly not these new peculiar marriages, and when they are apprised, they often express horror. Furthermore, such people often lack the temperament or the ability to research the issue and take steps to address the problem. It is equally inaccurate to say that MOST rabbis in the Shomron support such measures. To my knowledge, there are only two very prominent personalities who have taken an open position on these issues. Many prominent Rabbis in Israel have issued rulings in opposition to accepting funds or forging relationships with Christians. For an excellent compilation of classic and more recent Torah positions, check out: https://jewishisrael.com/page/halachic-rulings-opinions-and Nevertheless, it is true that a terrible normalization has occurred over the years through a savvy campaign of hiding information from the public, abrogating basic halachic/hashkafic mores relating to interfaith dialogue, sanitizing "Hayovel" and other groups, isolating rabbis from missionary experts, and demonizing the few vocal activists on the scene. 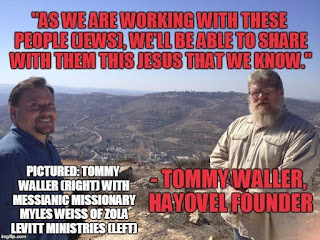 FACT: Tommy Waller has a better chance of speaking with Har Bracha’s Rabbi Melamed than good Jews on the scene who were denied an audience with him over the years. FACT: Several of the most knowledgeable experts on the scene are righteous converts to Judaism who lived as evangelicals for years. The attempts to destroy their reputations by certain people is a chillul Hashem and a blatant violation of the biblical prohibition. 3.Our Tax Dollars: The government will now be gifting Hayovel $16, 000 a year. This number will surely grow in the coming years. The government doesn’t GIVE anyone money. We Jews in Israel are now funding Hayovel with our tax dollars. An absolute outrage. Sixteen thousand annual dollars is merely the beginning of what will become a pot of gold for them. It will also free up their own capital for other nefarious projects. To hear it from (Nir) Lavie, there is no reason to take pity on him or his business. He has a point, of course, except that volunteers on kibbutzim traditionally received room and board in exchange for their work. Hayovel volunteers do not; they are required to cover all their expenses on their own. This is big business. Many self-appointed leaders, rabbis, and organizations have made lucrative businesses and are earning large salaries courtesy of these obscene relationships with evangelical missionaries. “Lipkin Tours” dominates a peculiar form of Christian tourism, catering largely to some of the most aggressive missionary organizations in the world. 5. Pious Frauds: Hayovel likes to play the righteous card about how they are fulling their part to bring "restoration" (keyword for their nefarious missionary agenda). When asked if they would take money from vintners who are profitable, they play the pious card about not wanting to take their money. The truth is that they already profit with percentages of sales from the wine purchases going to Hayovel. The image of pious pilgrims is a farce. The Waller family are doing very well. It is the foolish pilgrim who pays for his volunteerism. 6. Open Purses: Jews know that for every program or business they want to start in the liberated areas, they can easily reach out to any number of prominent organizations to get the money that would be otherwise harder to procure. Evangelicals are brilliant when it comes to finding niches to peddle their charitable wares. From preying on forgotten vulnerable Jews living in depressed regions to purchasing MRI machines in a country which until recently had so few of them (shame on Israel! ), they know that Jews want beautiful parks and need ambulances. In a country which may deprive them of niceties and necessities, the lure of Christian generosity is too tempting for many people. 7. Arrogance: Hayovel and evangelical groups are brazen, a clear reflection of how Jewish leadership dropped the ball. It is also true that many good individuals abandoned the fight after frivolous lawsuits from powerful Christian interests, or because they were tarred with libel and slander from many of the Jews involved in this sin. As Rabbi Meir Kahane often stated, “those who can’t debate, defame”. Much has changed since the days when the Waller’s had to look the other way each time they met a fellow Christian for coffee or visited their notorious friends, the messianic Ortiz family in Ariel. 9. Clever Tactics: Hayovel’s normalization is s tragic illustration of just how effective "Relational Evangelism" can be. It is the most pernicious and successful form of evangelism since it opened doors with religious Jews; an unprecedented thing in Jewish history. Missionizing is more than baptizing people. They are breaking down barriers, changing the mindset and values of Jews on the issue of Jesus, and planting roots within the framework of “restoration”. In truth all evangelicals had to do was exchange the thirsty sword for the sweet nothings of a forked tongue, and Jews would bite the bait. Who knew that the tongue could do what the sword could not? 10. Unspoken War: Most Jews don’t know what is happening with the evangelical incursion. Many don’t care. Many lie to themselves and speak of “pragmatism” and “righteous allies”, neither of which applies to these evangelical opportunists. Perhaps Jews need to start researching some of the wines they drink on Shabbat and get a history of the process. Besides the uniquely crafty tactics of Hayovel, the impact of the millions of evangelical dollars coming into Israel is impossible to calibrate, and those Jews who have the most to lose are those most vulnerable to the toxic sweetness. These would be those who draw near to the church for psychological, financial, and cultural/religious reasons. Some of the more outrageous street missionaries of Israel’s depressed area are experts at preying on the destitute and the elderly. Evangelicals spread their money everywhere, from the coarse street performer Jacob Damkani types to the more respectable outlets who zealously avoid such garish tactics. We have three threats exhibited in the article: 1) biased Jewish Hellenists who don’t like religious Jews or evangelicals because neither has a tolerance for abortion on demand or gay rights. 2) enabling Jews who flout Halacha and halachic precedent to form forbidden relationships. 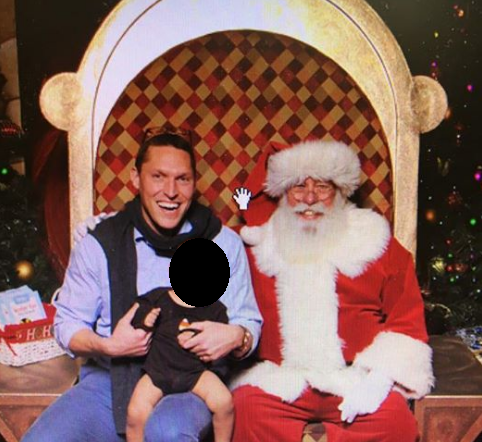 3) Brother Esau types who play the part of Santa year-round. Chanukah and Purim epitomize the two types of war Jews face throughout history. The threat of physical and spiritual extinction. 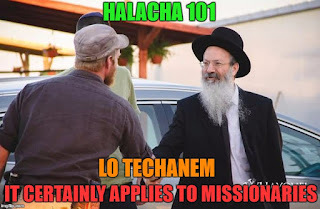 Every G-d fearing Jew knows that missionaries deserve the same fate as physical Amalekites. This is basic Torah, despite what spokespeople for Israel365 may say on the matter. Evangelicals and Jews are not natural allies. We are the most natural of enemies. They wish to replace us, and when that term became provocative, they developed/evolved the doctrines of restoration (Esav Exposed) to say what they really want to say in nicer ways. Chanukah may be over, but as I noted recently, the war for Chanukah is never over. It is a lifelong war until the arrival of the true Jewish Moshiach; a figure who will be a man of flesh and blood and not some made-up "reincarnated" composite of ancient pagan religions. The following version includes links, videos, and screenshots not available in "The Jewish Press" version. Chanukah is an ideal platform to discuss Torah based concepts relating to holiness and the profane and to address the Jewish mandate to remain a holy people. Yet the Maccabees fought for many years, and the war against Hellenism (much like the war with Amalek) rages in every generation. The battle is life-long rather than seasonal. In my opinion, the finest article ever written about Chanukah was penned by Rabbi Meir Kahane (may God avenge his blood), entitled “Down with Chanukah.” If you haven’t read it, it is essential reading. And for those who have, it is certainly fit to reread now and again. 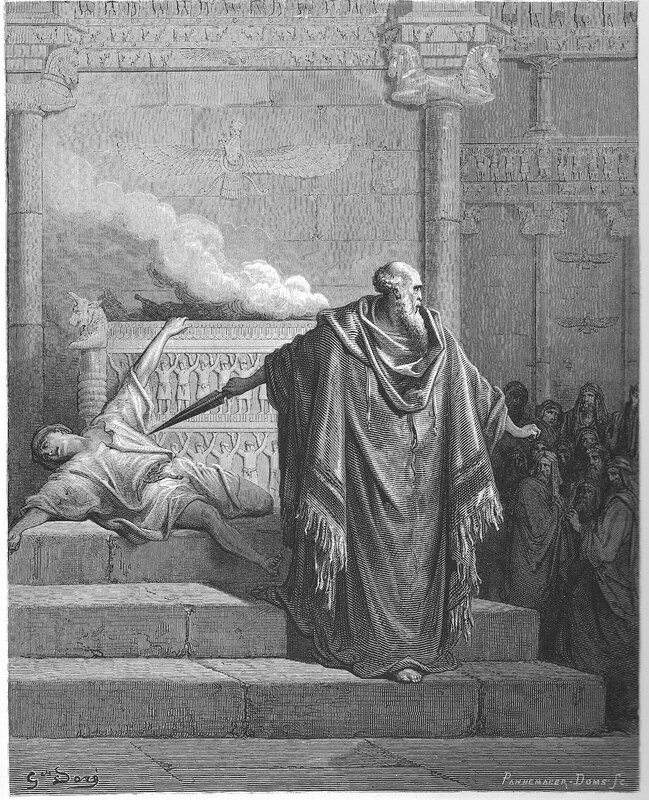 From a philosophical perspective, Judaism has always acknowledged that idolatry is more than just the worship of idols. The actual concept of idolatry takes many forms beyond specific ritualistic acts which constitute prohibited idol worship. There is also a philosophical idolatry of worshipping and venerating ideas, values, and ideologies that are foreign to Torah. In the Mishnah Torah, the Rambam describes how mankind descended from the knowledge of The One True G-d. Indeed, the corruption of man’s thought process was involved in man’s first experience with idol worship. What was initially intended to be worship in the service of Hashem, in the form of misguided but good intentions, ultimately corrupted their thoughts and actions. The result was a debased form of pure idolatry. We also have the idolatry of those damnable “-isms,” which as Rabbi Meir Kahane often pointed out, is always pursued at the expense of Judaism. And very often in the name of Judaism. We see this clearly when modern-day Jewish advocates defend liberalism, socialism/communism, feminism, egalitarianism, veganism, and pacifism, often with a religious insistence that these ideas are grounded in Torah. And there is considerable overlap and interplay between the categories. And one of the worst umbrella isms encompassing the whole grab bag of un-Kosher goodies is Hellenism since Hellenism often meets these criteria and distorts Jewish concepts from a goyish perspective. All while maintaining that the profane interpretation is the true one. Many self-identifying Jews today celebrate profanity in the name of Judaism and Torah. Far from distorting Judaism, they believe that the Hellenized expression the epitome of Judaism. Hellenism has many forms. The celebration and worship of decadence and hedonism, of the sensual turned profane, is one expression of self-indulgent Hellenism. The Hellenism of the bohemian gorging from the trough of life is one that many religious Jews recognize as being contrary to the Torah. But to think that Hellenism is relegated to some cliché playing out in a Tel Aviv nightclub or at some LGBGT festival is naive. Idol worship and the debasement of the sexual drive are hardly the only platforms for Hellenistic expression. Atheists are also idolaters, Self-worship, worship of the state, worship of man, worship of false institutions and false constructs are idols of a type. And then there are those terrible new-age idols of liberalism which infect the Torah camp. The “Open Orthodox” movement (an ironic name since it is as far from orthodox thought as the North Pole is from the South) is a newer form of Hellenism proving attractive to those who are influenced by western liberalism but lack the integrity to actively join the conservative/reform movements. This is not hyperbole. How else can we explain the existence of “orthodox” Rabbis celebrating and advocating for the legalization of gay marriage, abortion on demand, and rabbinical ordination for women? Yet laxity and egalitarianism are just one side of the coin. On the other end of the continuum, we have the disturbing phenomenon of an ever-growing group of religious Jews involved with evangelical Christians today, who also fit the category. Those who partake of interfaith prayer and gatherings with Christians are as guilty of expressing Hellenism pagan as the same sorts of people they would castigate on the left. Let us not forget that one of the earliest acts of the Kohen Gadol Matityahu, addressed a public desecration involving the fusion of the sacred and profane. Interfaith activity between religious Jews and evangelicals is perhaps a truer form of Hellenistic paganism, that would have been more recognizable to the Jews in the times of the Maccabees. It was an essential component that allowed many Jews to think they could work out a syncretic relationship between Torah and the competing religions of the day. One definition of Hellenism in a nutshell. This was the challenge the prophet Eliyahu threw out on Har HaCarmel. The notion that religious Jews can meet and greet, pray, learn Torah, and socialize in the context of religious expressions is the essence of paganism. Neither secular G-dlessness nor frum admixtures with treif are any different. The Maccabees could not have fathomed that after thousands of years of being battle-tested, the would be mature, stable, intellectual, committed religious Jews who could fall for such a perversion. They surely could never have understood religious, recognized, prominent Rabbis falling for an evangelical ruse. It is hard to think that Matityahu would have held his tongue. After all, this was a man who did more than speak on a fateful day. And so, these eternal truths must be stated outright without any fear, because there is a great desecration of Hashem’s Name occurring. And the silence is deafening. The silence may even constitute a greater Chillul Hashem. The following is a truism|: Those religious Jews who align with evangelicals are perverting Torah and creating unprecedented obstacles for the Jewish people. Whether sanctifying the profane or profaning the sacred, the result is the same. Desecration of G-d’s name. In personal discussions, I find that many Jews are bothered by the incursion of evangelical advocacy in Torah camps but like most people who aren’t driven by an activist streak, they neither have the will nor the tools to address these issues. Insular minded religious Jews may think themselves safe from these “modern” ideas. Yet walls erode and crumble, and many have chinks and weak-spots. No Jew is safe. Some insular communities may fancy themselves safe, whereas others are clearly more susceptible, but in an era of social media, the walls are often more ephemeral than real. Whatever corrupts the world will begin to corrupt Jews. Torah fearing Jews who were never vulnerable to the Haskalah eventually saw their Judaism torn away by communism in Eastern Europe. Many advocates for such forbidden interfaith relationships (See Rabbi Soloveitchik's classic "Confrontation" essay) undermine and mock the danger by pointing out that ‘only Jews without a strong background are vulnerable’. I am always floored by this untrue (but more importantly), this thoroughly un-Jewish selfish perspective. Regardless of our personal vulnerability, we Jews are responsible for one another. Personally, the ability of any missionary to either directly or covertly affect me or influence my personal values is zero. But my obligation to other Jews and to the entire nation transcends my personal self. Issues which do not affect me personally, affect the “us” of the Jewish community. So, if these issues concern me, then I have an obligation to expose and combat them. This is particularly true when one’s knowledge and nature compel them to do so. Fact: The original Maccabees were righteous zealots. We may certainly apply the “F” word to them. Fundamentalists. In many religious communities of today, they would have been pariahs and seen as outcasts. They would have been shunned from mainstream orthodoxy. Consider how harsh the defenders of interfaith relationships attack the few Jews today who speak out on these issues. We are girl-scouts compared to Matityahu and Yehuda HaMacabbi. Yet the Maccabee model is essential for battles to preserve the Jewish body and the soul. The Greeks venerated the body. Judaism values it, but it is always secondary to the service of the soul. A Jew without a body is certainly a tragic thing, it is the story of untold massacres throughout our long exile. A difficult solace has always been that the Jew who retains his Jewish soul has won, regardless of the horrors done to the physical body. A surviving Jewish body without a soul is the greatest tragedy of all. We Jews always view the body as secondary. Most Jews comprehend the dangers of anti-Semites who desire that our bodies cease to live. Yet in an era when friendly Christians praise Israel on “Fox News” and smile with Jewish politicians and pundits, some see today’s evangelical as a friend. Of course, if many could see how these evangelical friends speak out when NOT in the presence of Jews, they would be mortified. Mike Huckabee is a great example of this phenomenon. No doubt several readers are now reading this and thinking, “how dare he write this, Huckabee is a great friend of Israel!” Yet have they seen this video where Huckabee unequivocally expresses his support for the infamous “One for Israel” ministry which preys on elderly Holocaust survivors? I challenge any Jew to watch this video and still declare that such a spiritual predator can be called a friend! This supposed friend is a friend precisely because he desires that there be physical Jews in existence to accept what he sees as his savior. The threat of brother Esau is as insidious as the crusader sword. Perhaps more so, because contemporary missionaries are experiencing the kind of success they never had in history. The death of Judaism is the end goal of all evangelicals. It is the very essence of the evangelical mandate. To evangelize the unbeliever. There is no such thing as a non-missionary evangelical. It is an oxymoron. The refusal of too many Jews to see (for one reason or another), the naked agenda of many of these groups is indeed maddening. Consider “Hayovel Ministry” in Israel, headed by Tommy Waller. Over the years Waller turned his organization’s voluntarism in Jewish owned vineyards in Samaria into a lucrative business. For years, I and many others have tried to expose Hayovel’s nefarious agenda ad nauseum. (Several have been doing it for many more years than I have.) It seems that every few years, the ever-wily Tommy Waller gets caught with a mishap, and he must apologize. These periodic seasons of repentance are laughable. So, the same people who defended Waller in the early years which Waller now admits were during his “messianic period”, have continued to defend him as the years go on, even though there have been more than a few of these moments. Waller’s last public repentance occurred more than a year ago, with his insistence that he did teshuva (repentance) from what he now acknowledges was a missionary past. Should we believe him? The answer is no. We should never trust such people who can justify lying from their own religious “Paulian” doctrine. Should I trust a viper not to bite me? In this article, I will only cite one example which destroys this whole repentance mythology and exposes that he and his organization are still committed to evangelizing Jews. As of December 2018, Hayovel still associates with overt missionaries. 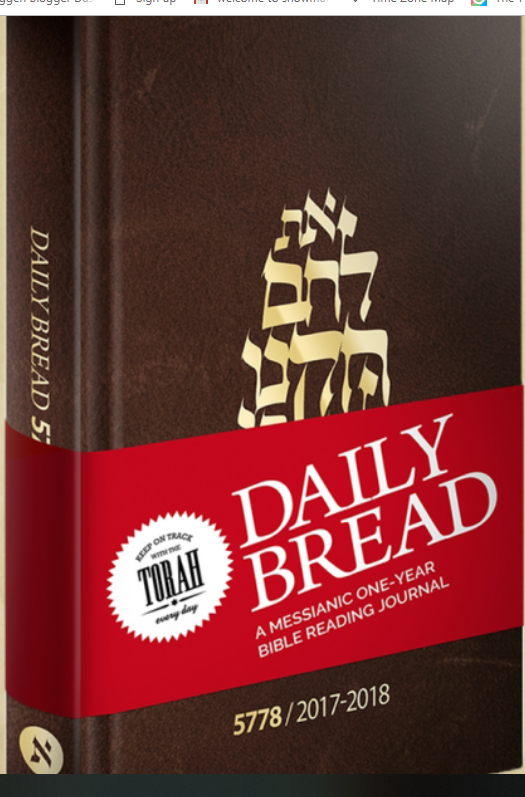 On their website, Hayovel sells a messianic daily planner entitled, “Daily Bread”. This is merely one of many goodies from their online shop. A cursory glance at the material says everything. The fact that Hayovel’s webpage features such an obvious messianic text illustrates that they no longer feel that they must hide their beliefs and associations from their Jewish defenders. 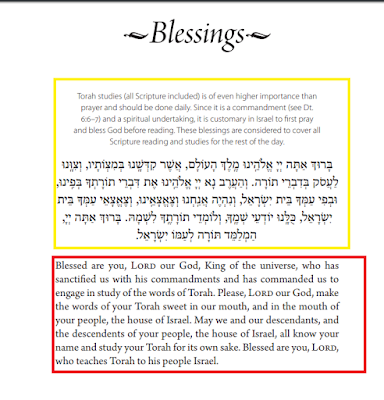 Additional messianic tricks: Throughout the planner, there are references to standard texts and sources used by traditional Jews. This allows them to throw out terms such as “Artscroll” and “chabad” and share the lingo of those whose lives are immersed in Jewish Torah study. This bizarre usurping and usage of conventional Jewish names and organizations reflect the attempt to normalize the pagan with contemporary Jewish experiences. Additionally, there are frequent references throughout the manual to infamous Jewish apostates and other personalities who became leaders in the war to evangelize Jews. Tommy Waller is crafty. He has a knack for duping Jews and the silly pilgrims who enrich him and his family, under the guise of doing “the Lord’s work.” His ability to travel the world with friends and family with ease, and to have the capital to purchase a million dollar plus complex in Missouri proves that this isn’t merely about following what he believes to be his biblical obligation. He is hardly a vow of poverty type. Few of them are. Like many snake-oil salesmen before him, Tommy discovered the golden goose of evangelical enterprises. 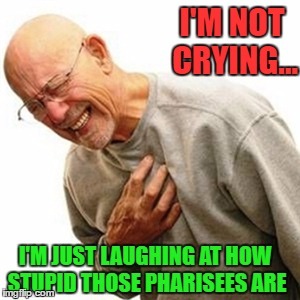 And Waller knows that anytime he or his staff screw up, as they are wont to now and again, he can simply make a video where he sheds crocodile tears for the Jewish people and apologizes for the evils of the crusades. My problem with Waller and his ilk is not related to the sins of crusades. I hate him because he is still trying to destroy Judaism with his relational evangelism, whose end goal is the same as those handing out “Jews for Jesus” leaflets. 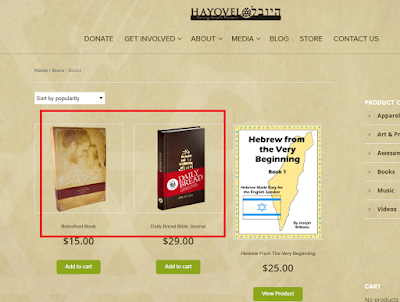 Clearly, the presence of such ideological religious materials on Hayovel’s online shop shows precisely where they stand today. Nothing has changed. Hayovel has simply mastered the rhetoric of apologetics and excuse-making, after the early years of making crude mistakes. It helps that there are more than a few “yeshivas” run by religious Jews (and evangelicals!) feeding them with the education of learning about Jewish mores, lifestyles, and distorted interpretations of Judaism; all of which aid them in their ability to speak a more kosher tongue when dealing with Jews. Essentially these are institutions teaching missionaries how to blend in better and walk the Jewish walk. 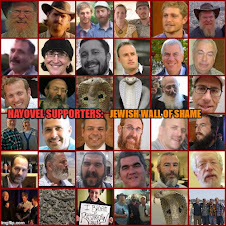 Given the naked agenda, Jews who continue to defend Hayovel are either deluded, impaired, or liars. Only a fool denies what is evident to anyone with even a rudimentary mass of grey matter. Those who tap away, kvetching about BDS or about irrelevant goyim while ignoring actual antisemitism encompassing physical and spiritual terrorism against Jews in Israel and the diaspora, are not fighting some great fight. This is the domain of respectable activism, as expressed by the Bnai Brith or “Stand with Us”. The truly unpopular battles are left to those cursed with the gene of zealousness. It is natural that ideological zealotry is troubling to most people. Like all things, zealotry run amuck is as dangerous as the evils one may be fighting against. Naturally, zealous acts and ideas must always be articulated with wisdom and foresight, and within the parameters of halachic expression. 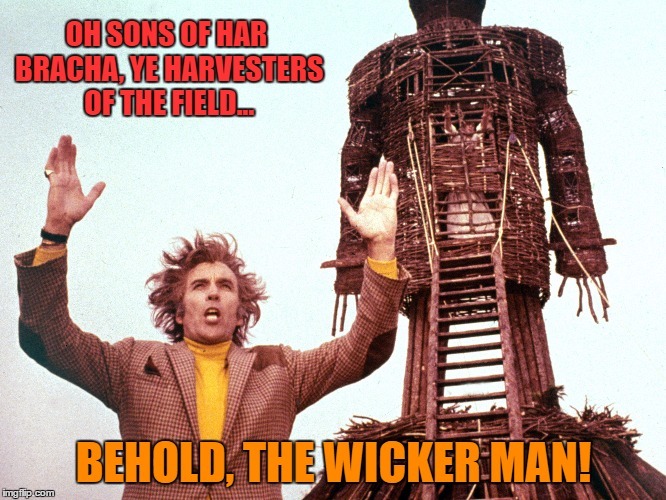 The abandonment of the rational faculty and caving to violent urges can also represent a form of pagan worship. Yet when the Jewish heart and head are in alignment, the psyche healthy and thoughtful, the lessons of the Maccabees are eternal and essential. There is no place for the profane in Judaism. And the profane frequently dons a kipah. This Chanukah we have another example of Jewish giving platform to missionaries. The Menachem Begin Heritage Center is hosting an event on December 5th organized by missionary Doron Keidar’s “Cry for Zion” movement. While several religious speakers are scheduled to speak, the majority are prominent missionaries, including Doron Keidar, Lars Enarson, Jon Enarson, Zac Waller, Aaron Murphy and others. (For more on this outrageous event, see Tomer Devora’s excellent blog post, The Greeks Are Back For Hanukkah). Incidentally, Lars Enarson and Jon Enarson are behind the “messianic planner” I referenced above, which is sold in Hayovel’s online store. Whether “open-orthodox” zealots who advocate for late-term abortion, gender neutrality, and gay marriage, or daati-leumi types who partake of interfaith prayer and Tanakh study sessions with evangelicals in the Knesset, contemporary religious Jews are susceptible to modern-day paganism. Strange fires in the name of Torah have teased and tempted the best of Jews at times, but they are particularly appealing to the ignorant (willful and otherwise), the emotionally vulnerable, the insane, and the corrupt. A final reminder: Fighting for these critical spiritual issues won’t make you popular. On the contrary. You will become decidedly unpopular, outside of very small circles who care and think about these troubling issues. If you choose to fight this battle, your beloved blog readership will shrink, blog carnivals will wince when you submit posts, and you will not be invited to “glatt kosher cheese and wine events,” popular among religious hasbara’s avante-garde. And this is the mild stuff. Many of the people active in these causes will actively malign you with lies and slander. They are terrified that their actions will receive the exposure they have so far been able to avoid. After all, these are the types of people who brazenly give Samaria tours to noted missionaries Jim Garlow and Rosemary Schindler of the notorious Skyline Church which has a messianic congregation. These are people who actively ignore the warnings of more than a few righteous converts to Judaism, who came from that evangelical world and know precisely how relational evangelism works. They are the experts, and yet these Jews will malign and denigrate righteous converts. I understand that this isn’t a good sales pitch to get more Jews to fight. In truth, it makes no difference. There is no way to mask it. There are no simple solutions. This is a bloody fight and the other side doesn’t fight clean. They hit below the belt if you point out obvious, public, outrages. The hell with popularity. At times the only model for Jewish survival is the Maccabean sword to fight for the purity of Torah and Hashem’s message. Certainly, this is so in a metaphorical sense, yet when extreme circumstances arise, it is equally correct in the most literal of senses. 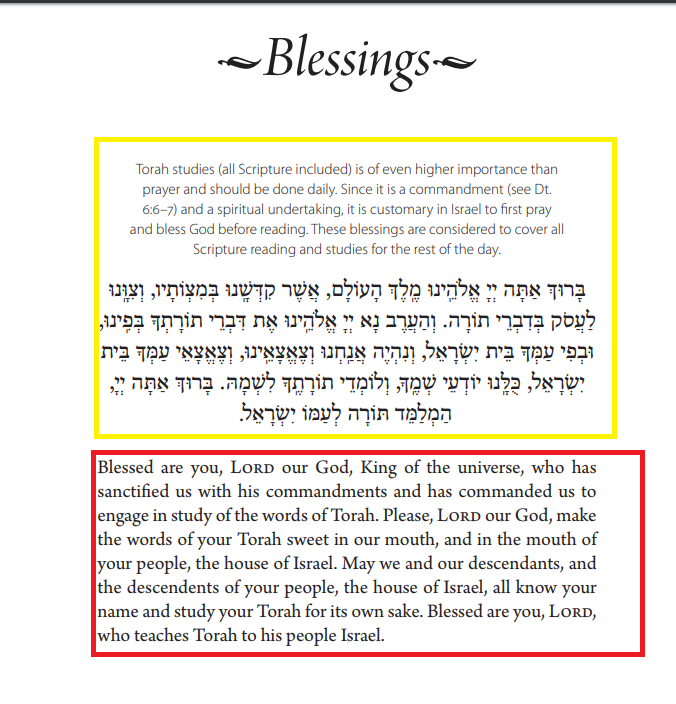 Those who fight for these critical Torah issues can take comfort with the fact that Matityahu himself would have approved. The reality is, that the fight for authentic undiluted Torah truth has always been the domain of the few. From our forefather Abraham to the Maccabees, to modern day battles continuing today, nothing ever changes. The few among the many. Let the clarion call of Matityahu shake our souls to the core. Chanukah Sameach! 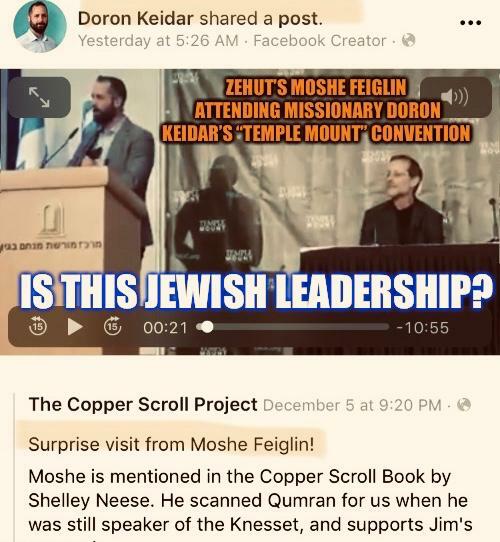 So who exactly is Doron Keidar? The following video (h/t JewishIsrael) says it all. He is a zealous missionary. So why would Zehut's Moshe Feiglin participate in an evangelical convention in Jerusalem with such a spiritual predator? Is this the meaning of Jewish leadership? It wasn't that many years ago that a Doron Keidar would have been bounced out of the country on his head. Those days are gone. Today, he has the support of the highest levels of government, and the friendship of religious Jews. This is the problem.